As children get ready to start back at school in September, Brighton and Hove Buses has highlighted a website which aims to make travel planning stress free for parents and students. The website, Your School Journey, allows parents to plan their child’s bus travel and tickets before their first day back. 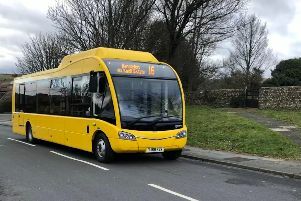 The site lists every Brighton and Hove secondary school and the bus routes that serve them, as well as timetables, bus stops and fares. For education stories, click here. Martin Harris, Brighton and Hove Buses’ managing director, said: “I know many parents will be frantically dashing around buying school shoes and uniforms and worrying about how their child will cope at a new, often larger, school next month. There is also a busID scheme for young people aged five to 18, where e-tickets can be uploaded onto a card and topped up online. To get a busID card, pop into 1 Stop Travel or the company’s head office at 43 Conway Street, Hove, with proof of date of birth, and a passport photo. There is also a Sibling Saver ticket for those with more than one child at school, which offers discounts to parents buying more than one 90-day pass or 12-month city or network saver. Children must be living at the same address and both tickets must be bought at the same time but they can have different start dates. Visit goo.gl/BaAumg for more information. To visit the Your School Journey website, click here.